When you first visit a food truck called Sam’s Chowdermobile, it is obvious what you should order; so that is why I purchased a lobster roll. 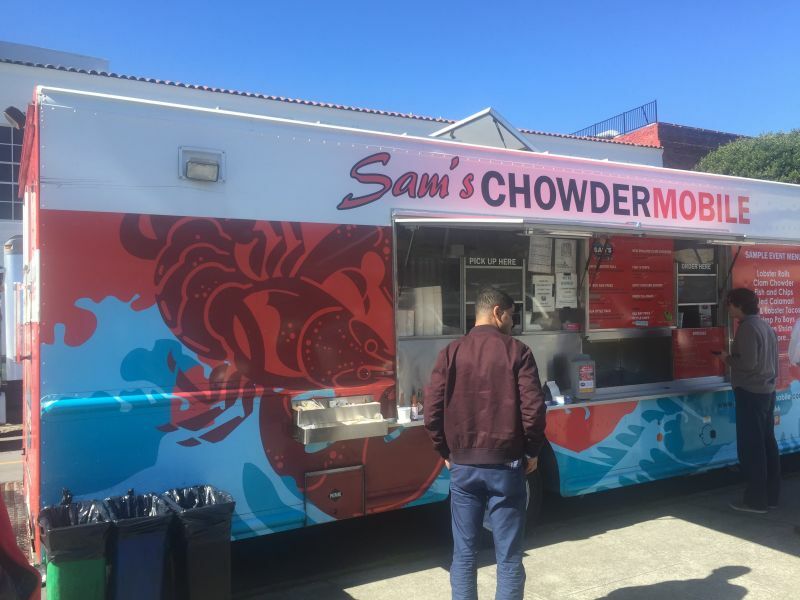 Sam’s Chowdermobile offers New England-style seafood and is associated with Sam’s Chowder House in Half Moon Bay. I have not tried the restaurant, but my experience with the truck means that next time I am in Half Moon Bay, I would definitely consider eating there. The lobster roll was well filled, as you can see from the photograph. The meat was tender, a little less dry and not quite as sweet as the lobster I recently ate at Napa Deli, but less than perfect lobster still makes a very tasty lunch. I admit that my eyes were larger than my stomach; I should have ordered the “shortie” sandwich. Lobster is rich, so a small amount goes a long way. California Girl comments: Well I am just sitting here pouting. There are no mobile lobster roll places that come to me for lunch. *Dramatic sigh* Every single time that The Brit comes home with these culinary stories, I am green with envy. It is almost worth going into the city more often just to eat food trucks with him. 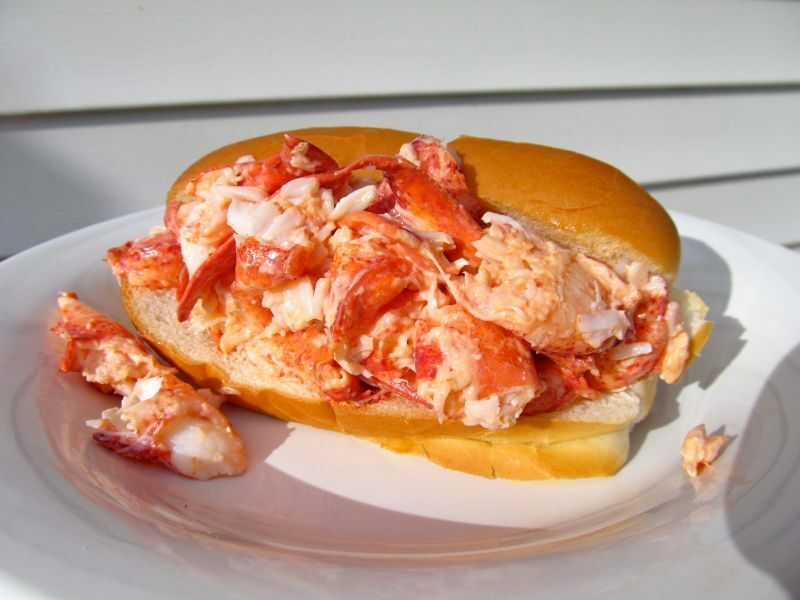 The lobster roll from Sam’s Chowdermobile was named one of “The Best 5 sandwiches in the US” by NBC Today program. I did not rate it that highly, but I would eat the lobster roll again. The fish and chips look good. Maybe next time I will try the eponymous chowder.